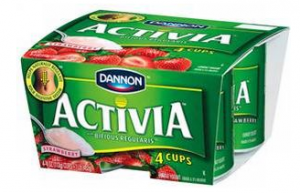 There is a new Dannon Activia Coupon available. The coupon is for $1 off any Dannon Activia Yogurts, 4 pack. You can score a great deal at Target with this new coupon and the $2/2 Dannon Activia Target Coupon that is available. Make sure to check out the rest of the Target Coupon Match Ups for the week as well as the Flintstone Vitamin Deal at only $0.32 each and the Free Photo Deal. Clean Eating Magazine: Only $7.88 per Year! Today’s Daily Deals – Blockbuster, PajamaGram, Simply Me Naturally & More!